Narges Mahyar is an assistant professor in the College of Information and Computer Sciences at the University of Massachusetts Amherst. She holds a PhD in Computer Science from the University of Victoria, an MS in Information Technology from the University of Malaya and a BS in Electrical Engineering from Tehran Azad University. Her Ph.D. was funded by SAP Business Objects for four years, where she worked closely with SAP experts and research team to develop novel technologies for collaborative visual analytics tasks. She was a postdoctoral fellow in the Department of Computer Science at the University of British Columbia from 2014-2016. Prior to joining UMass, she completed a second postdoctoral fellowship in the Design Lab at the University of California San Diego from September 2016-2018. Narges’s research falls at the intersection of social computing and design with the goal of augmenting groups’ abilities to solve complex problems. She designs, develops and evaluates novel social computing and visualization techniques that help people (both experts and non-experts) make better decisions. More recently, she has focused on exploring new strategies for scaling and diversifying public engagement in massive decision-making processes related to civic issues. The goal of her work is to advance civic technology that alleviates social inequality by including marginalized perspectives and leveraging the diversity of viewpoints and experiences to drive collective innovation. To build these technologies, she works closely with domain experts and affected population groups to understand their activities, current challenges and ultimate goals. 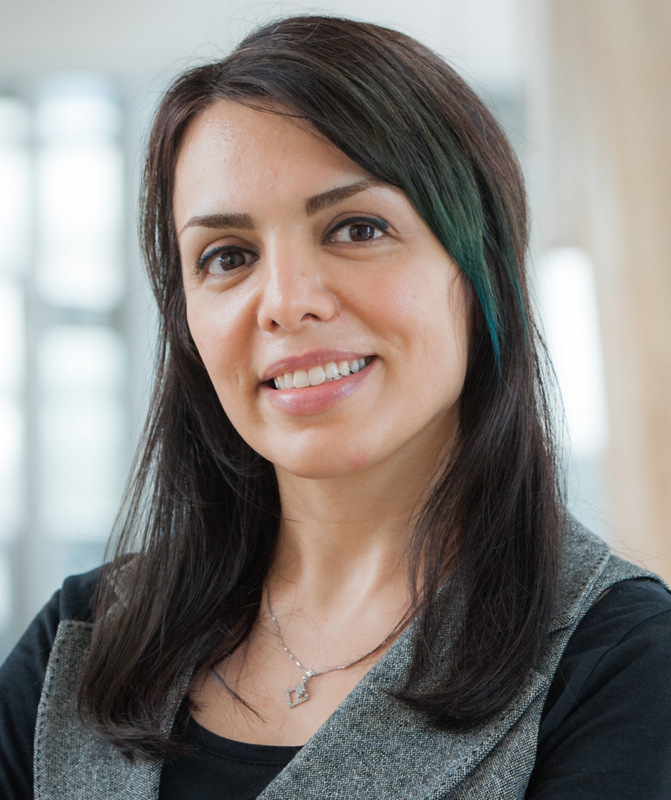 Narges’s research papers have received awards at the premier venues in Visualization, Social computing and Landscape Architecture including the outstanding paper award from Council of Educators in Landscape Architecture 2017, the honorable mention award from Interactive Surfaces and Spaces conference in 2016 and the best paper award from IEEE VAST 2014. She has served on the program committee of CHI 2018 Late Breaking Work (LBW), Creativity and Cognition Conference (CC), Interactive Surfaces and Spaces (ISS), Graphics Interface (GI), and regularly reviews for most major conferences and journals on HCI, visualization and social computing.